Master Silversmith Gia Gogishvili will guide the students through the technique known as Niello. 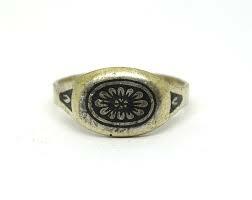 Niello is a very old technique with the first known written instructions of this technique dating to the 12th century. 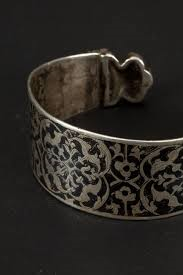 During the Renaissance, at the height of its popularity, the technique was widely used for the embellishment of liturgical objects and for the decoration of such as utilitarian objects as cups, boxes, knives, handles, and belt buckles. The participants will learn to create a design in sheet metal (usually silver) by cutting, sawing, overlaying, engraving etc. 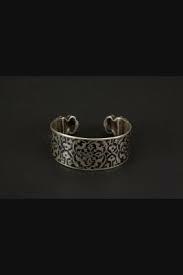 Niello is an alloy produced by combining silver, copper, lead and sulfur. This combination results in a black substance that is applied to the depressions created in the sheet metal. The metal and niello are then heated to fuse the niello to the sheet metal. Any excess niello is removed and the piece is then polished to complete the project. 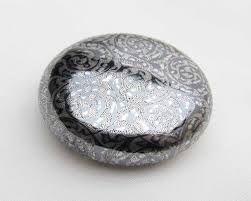 The contrast of the lustrous black inlay against the polished or matte silver is striking. 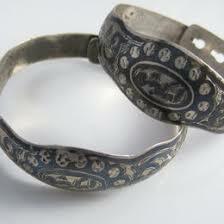 Objects decorated with niello are called nielli. Students may use a design provided by the instructor or may develop their own. Due to lead-related health and safety issues, Gia will be bringing premade niello to the workshop but there will be an outdoor demonstration or video on how to make it. Gia Gogishvili is from the city of Tbilisi in the country of Georgia. Because of his interest in drawing, his father encouraged him to pursue studies in the arts. At the age of fourteen, he began his undergraduate studies in Tbilisi. He is from a region known for working with metal. 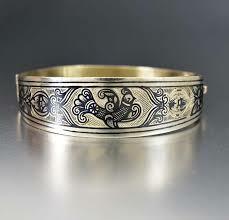 Additionally, his father is a jeweler and a silversmith, therefore, Gia’s artistic interest gravitated to the metal arts. He was honored when at the age of 18 he won second place in a competition with artists from 15 republics of the Soviet Union. Gia continued his post graduate studies at the Moscow Art University. As an advanced student, he was selected to work at the Hermitage Museum in Saint Petersburg, Russia, where he learned to restore some of the most precious treasures. As part of his studies, he conducted personal exhibitions and participated in competitions. Gia is very proud to have earned the title of Master Silversmith. 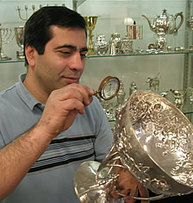 In 1991, at the age of 26, Gia was selected to represent the country of Georgia for two weeks at a cultural exchange with their sister city of Atlanta, Ga. At the end of the two weeks, he was approached by sponsors of the cultural exchange and asked to stay in Atlanta to demonstrate the “old world techniques” to the art students at Georgia State College. After that he was offered a job as a restorer at Estes-Simmons Silverplating. Today, 26 years later, Gia now owns Estes-Simmons Silversmith in Atlanta. Gia enjoys sharing his knowledge and passion for the metal arts with others. Please join him and learn the old world metal art techniques Chasing and Repoussé.